Prabakar is Chief Strategist and Co-founder of The Fabric. Prabakar has a successful track record as a serial entrepreneur. Previously, Prabakar drove Juniper’s content and media strategy and the technology for its media delivery infrastructure solutions, which an outgrowth of Juniper’s acquisition of Ankeena, which he co-founded with Rajan. 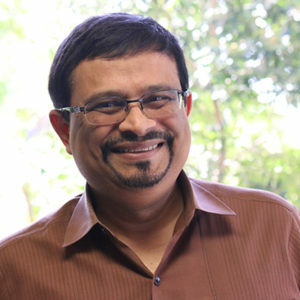 Before Ankeena, Prabakar was at Citrix Systems, driving the technology vision and product strategy of the company’s Application Networking Group. Prabakar joined Citrix via its acquisition of NetScaler Inc., where he served as CTO and EVP of Strategic Planning and Corporate Development.